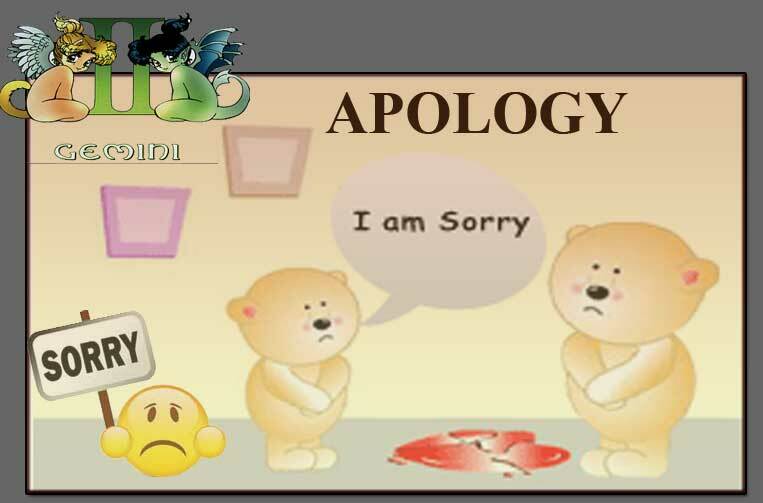 Gemini, Apology- how to apologize to gemini friend ? Apology is a written or spoken expression of one's regret, remorse, or sorrow for having insulted, failed, injured, or teased another and each has their own way of asking sorry depending on their personal characteristics and is also influenced by their zodiac. The Gemini's think that they are never at flaws and would never apologize to anybody for anything. Even if they realize the mistake they would act as though nothing has happened or would hardly talk about the incident trying to forget and thereby not asking sorry.